Pregnancy is wonderful, and amazing! But sometimes it can be wonderful and a little uncomfortable or even painful. You hear things like round ligament pain, lower back pain, rib discomfort from many Mothers. Sure, growing another human being is complicated. But it doesn’t have to bring a lot of discomfort, it should be an enjoyable process. Chiropractors can help you with that! 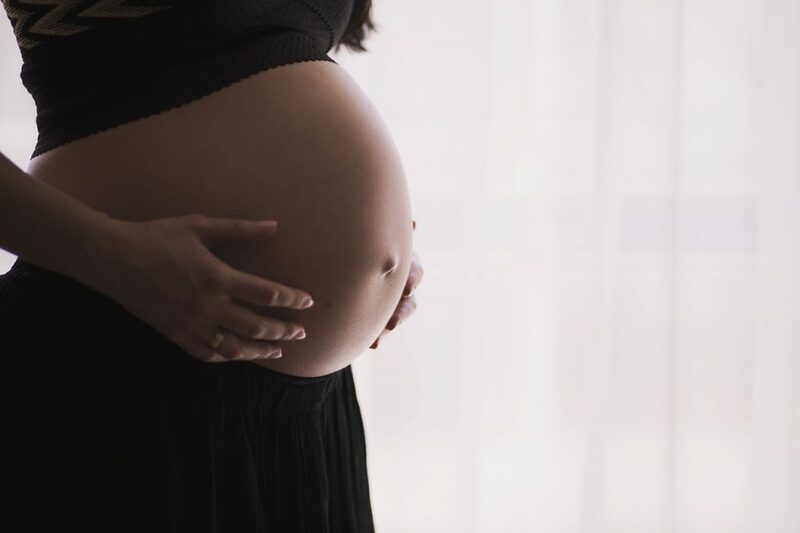 Using a chiropractor in prenatal care is to establish pelvic balance and proper spinal alignment, not only to reduce discomfort but also to allow the baby to be in the best position for delivery. When the pelvis is misaligned, it may reduce the amount of room for the developing baby to be comfortable and they may seek out a less than desirable position for birth. Receiving regular chiropractic care throughout a pregnancy will establish pelvic balance and proper spinal positions, reducing pain and optimizing the room a baby has for development. When Mom has a balanced spine and fully functioning nervous system, babies have a greater chance of moving into the correct position for birth, and the crisis and worry associated with breech and posterior presentations may be avoided altogether. Often after birth, whether vaginally or via c-section, the mother’s biomechanics change – these changes can bring discomfort with walking, nursing and sleeping. Chiropractors can help restore the spinal balance with chiropractic manipulation, exercises and stretches. New symptoms can arise with new activities associated with caring for your new baby; such as positions during breastfeeding, bottle feeding or co-sleeping. There is a tendency for new mothers to flex forward for long periods of time which can aggravate the mid back area. Carrying car seats with infants in them also affects spinal health and brings discomfort. And let’s face it, new Moms usually take care of themselves last! Although self-care may seem selfish, or like you have no time, every Mom would function better for themselves and their babies with chiropractor care regularly. Chiropractic care for your new infant is also advised and recommended for their spinal health. The birth processes no matter vaginal or c-section delivery is a very traumatic process, and puts much stress of their nervous and skeletal system. If expectant Mothers could worry less about difficult deliveries and have a little bit more comfort, especially in the last trimester, it would rid her of some stress which is always better for her and baby. Seeing a Chiropractor can help ease the discomfort and lessen the difficult delivery chances. Once a Mother has delivered her body has been changed and will be using repetitive motions for quite a while causing misalignment and discomfort. Continuing to see a chiropractor can alleviate some of that and let you get back to taking care of baby without those aches and pains. At Impact Family Chiropractic we love to care for pre and post-natal Moms, and children of all ages. Give us a call if you have questions or want to book a consultation.